Sasha "Scarlett" Hostyn is a Canadian StarCraft II player who plays Zerg. She started to play StarCraft II in April 2011. She made her first steps in the competitive scene by participating in an online female-only league - the NESL Iron Lady - and winning the tournaments twice in a row in Autumn 2011. In March 2012, Scarlett won the Playhem "Sponsor Me!" Tournament, an online event reserved for amateur players without a team or a sponsor. Winning that tournament awarded her an all-expenses paid trip to IPL 4 in Las Vegas, where she had a breakthrough performance in the open qualifiers. Scarlett attended the 2012 StarCraft II World Championship Series Canada, making her way through the winner's bracket and defeating the likes of HuK, Ostojiy, Drewbie and DdoRo to reach the Grand Finals. She eventually overwhelmed Ostojiy once again in this last series, becoming Canada's national champion with a 12-1 record and securing a seed in the 2012 WCS North American Championship. At the 2012 WCS North American Championship, Scarlett once again tore through the winner's bracket, going through theognis, Mystik, HuK, Insur, and defeating ViBE twice to win the tournament with another 12-1 record. At this time, Scarlett is ranked #292 in highest overall earnings, and #9 in highest earnings for players from Canada. 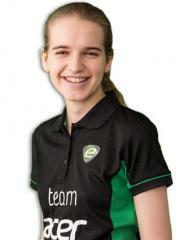 Before Scarlett turned 18 years old, she earned $200.00 in cash prizes from 2 tournaments. 0.06% of her total prize money was earned before December 14, 2011. Out of the 172 tournaments awarding cash prizes that Scarlett had competed in, the largest amount was $50,000.00 from IEM XII - PyeongChang (SC2) on February 7, 2018. She placed 1st, making up 15.85% of her total prize money won. Scarlett obtained $100,000 in total prize money earned on July 27, 2014 with a $2,000.00 cash prize from her 1st place finish at ATC Season 3. Prize money from 45 tournaments got her to that point. In the last 90 days, Scarlett has been awarded $15,088.90 in prize money from 3 tournaments, $2,688.90 (or 17.82%) of which came in the last month.